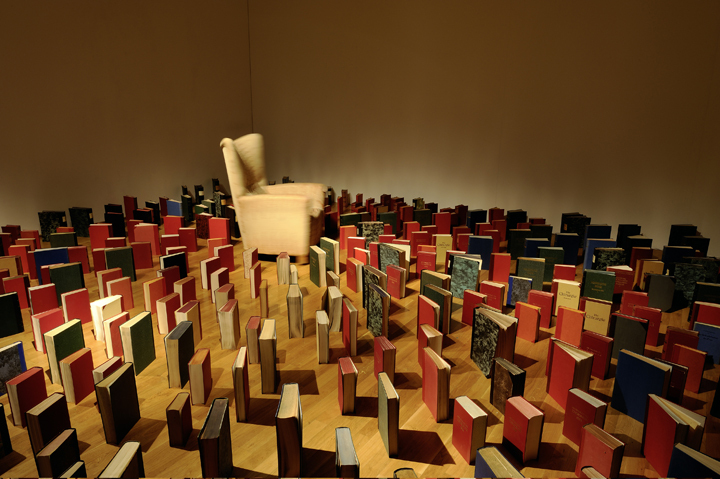 The artist’s grandfather’s professional library radiates outward from the grandmother’s slowly rotating easy chair. 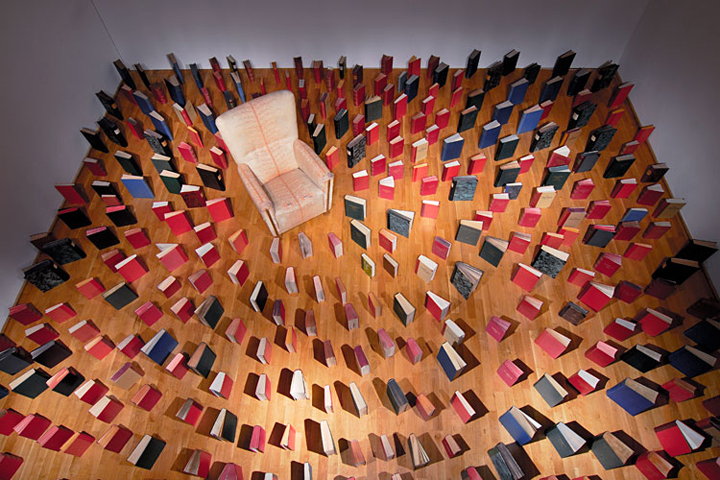 Books and chair are bound with one another in many ways: not only by the fact, that one can read a book while sitting on a chair. 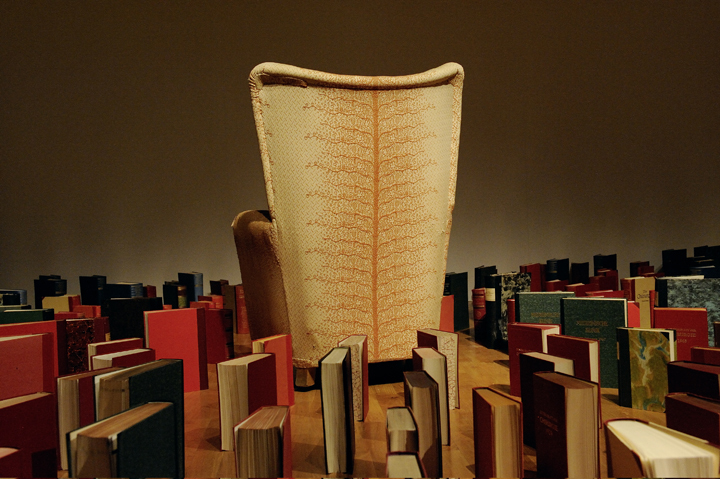 Books and chair have in common an open and a closed frame; both possess a spine. 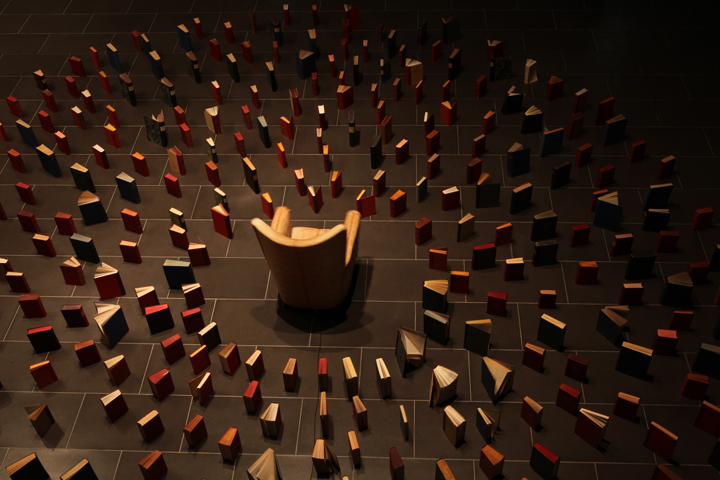 The content of these special books is the art of healing, but the chair has been damaged and repaired with tape. 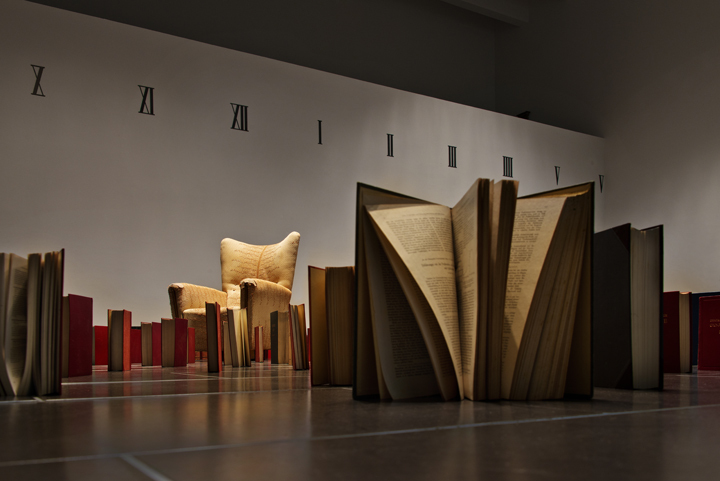 In their present setting, the books and the armchair illuminate the relationship between the portrayed couple.